35 hours per week excluding lunch break. 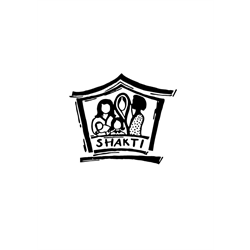 Shakti is seeking to recruit an experienced and qualified finance worker. Reporting to the manager, your role will involve ensuring the day to day finance and accounts tasks are carried out effectively and you will provide support to the whole organisation. The post holder must have at least 2 years’ experience of general accounting and reconciliation work to audit level, a sound knowledge of Sage 50 Accounts and Excel, must be IT literate, and have good keyboard skills with good planning, organisational, and communication skills. The post holder must have knowledge and understanding of domestic abuse within black minority ethnic communities. Relevant qualification, preferably to HND or AAT standard. The post is subject to police checks. Women only need apply under paragraph 1 of Schedule 9 of the Equality Act 2010’ Funded by City of Edinburgh Council. Fixed term contract to November 2019 with possible extension to November 2020 (the Board will continue to seek future funding). Closing date for the application is at 12 noon on 14th March 2019. The post holder will assist the Project Manager and team leaders as required, undertaking general administration duties and support for the whole organisation. The post holder will deal with enquiries (telephone, e-mail, and social media), maintain databases, organise events bookings, and undertake filing, minute taking, and dealing with petty cash. The post holder must: have a good knowledge of Microsoft packages, particularly Outlook; be IT literate and have good keyboard skills; have good planning and organisational skills; and be experienced in managing websites and social media. The post holder must have knowledge and understanding of domestic abuse within black minority ethnic communities. The post holder should have a relevant qualification, preferably HNC or equivalent in administration related subject, and a working knowledge of an office. Applicants must be a bilingual speaker in a BME community language such as Hindi, Urdu, Punjabi, Bengali, or Arabic. This post is subject to enhanced disclosure checks.